Dogs can get nervous for a huge number of reasons. They may have heard a suspicious noise outside, or they may be experiencing separation anxiety. Or, if you just have a generally anxious dog like our Rico, they could be nervous over seemingly nothing! There are a few things that you can do to try and make them feel more at ease. 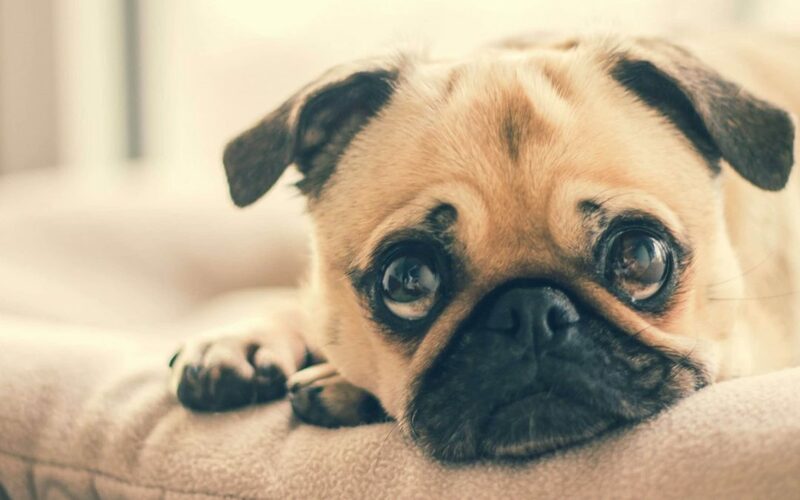 Read on for some tips to soothe your nervous dog. Classical music has often shown the ability to calm dogs down. If your dog is pacing around the house or if they are just unable to settle in general, turn on the classic tunes or nature sounds! This is super easy to do, and you don’t even need to turn it up very loud. A dog’s hearing ability is far better than our own, so they will be able to pick up on it at a low volume. Plus, it can help cover up noises that may be coming from outside. If your dog does not have a safe place they can hide, you can set one up to give them that comfort. A simple dog blanket laid on top of a cushion or dog bed can work wonders. There are plenty of stylish dog blankets available and it is easy to find one that will match the look and feel of your home. Click here for some of our favorite dog blankets! When your dog has a safe, comfortable place to go, you can then teach them to relax while also helping them to stay calm regarding the things going on around them. For whatever reason, Rico has decided our guest bathroom and our master bedroom closet are his two favorite safe spots to curl up. After we had our major earthquake in November, he would run there and hide out during the aftershocks. It helps to have a spot I know he feels relatively safe and comfortable in. It may take some time for you to get them into a good routine, but when you do, you will soon find that it can work miracles for your nervous pup. 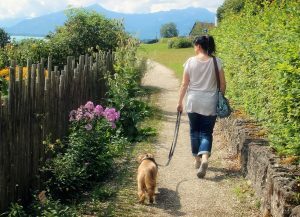 Heading out for a walk, taking a trip to a favorite dog park, or even just sitting and working their brain with an interactive dog puzzle are all great ways to spend some of that nervous energy. Here’s a great list of the best dog puzzles to work their brain! Once you’ve gotten some exercise, a massage is a great way to relax! 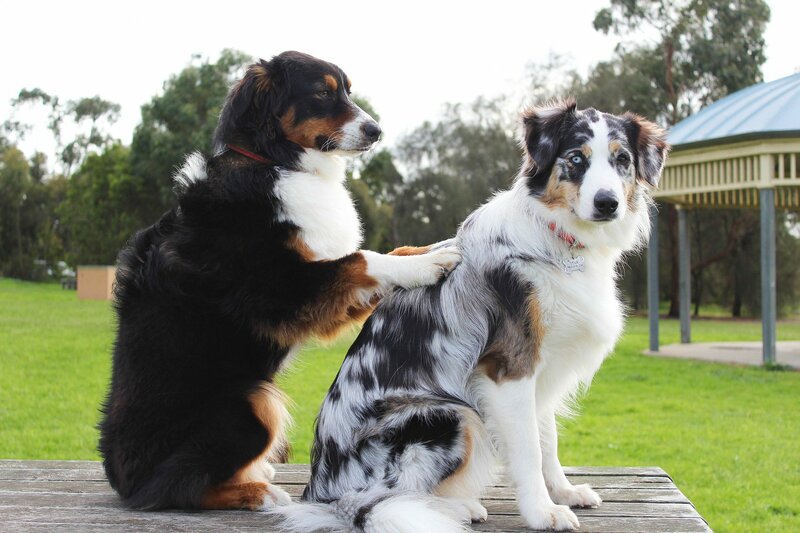 Many dogs find getting massaged to be very relaxing as well. It may take some time for your dog to get used to it, but when they realize how great it feels, they’ll love it. It’s especially beneficial for senior dogs who struggle with aches from time to time. Dogs have the remarkable ability to pick up on the energy around them. 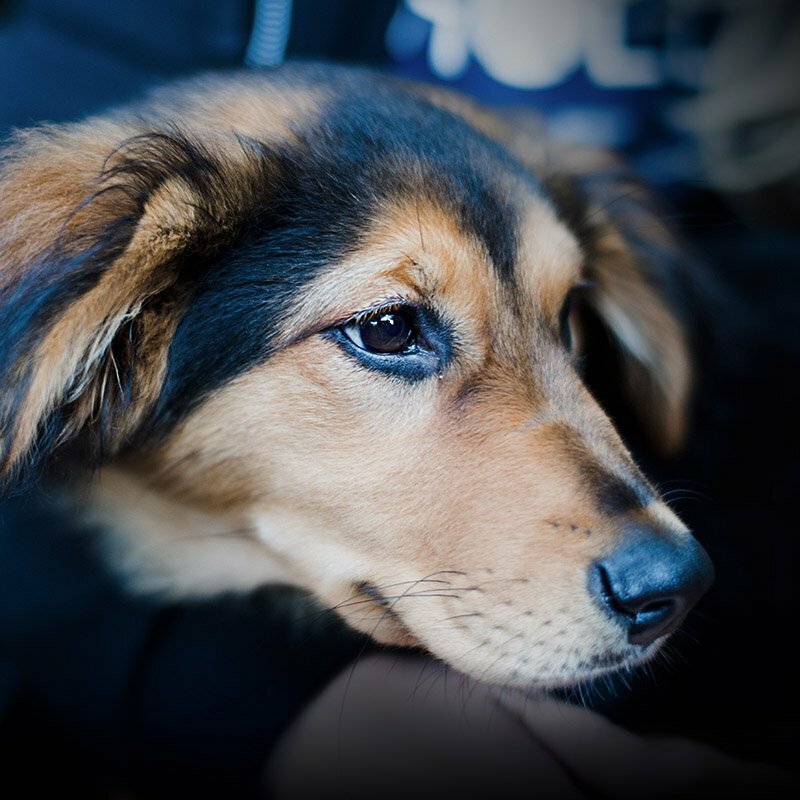 If you are nervous about a situation, your dog will likely escalate their anxious behavior. Staying calm will help keep them from building that frantic energy. Lavender is an amazing calming scent that can help both you and your dog relax. Take slow, deep breaths, and rub a drop of lavender essential oil mixed with coconut oil onto your wrists. While you’re at it, try rubbing a bit of that blend onto the top part of your dog’s head, where they can’t lick it off. It’ll help calm them and as a bonus, they’ll smell fantastic! Dogs love routine and consistency, and it becomes much easier for them to stay calm when they know what to anticipate each day. Once Rico got into a routine of feeding potty, play, and nap times, he was often much calmer on a daily basis because he knew what to expect. Work with them, give them support and structure as much as you possibly can. Do you have a nervous dog? How do you manage their anxiety? Share below!